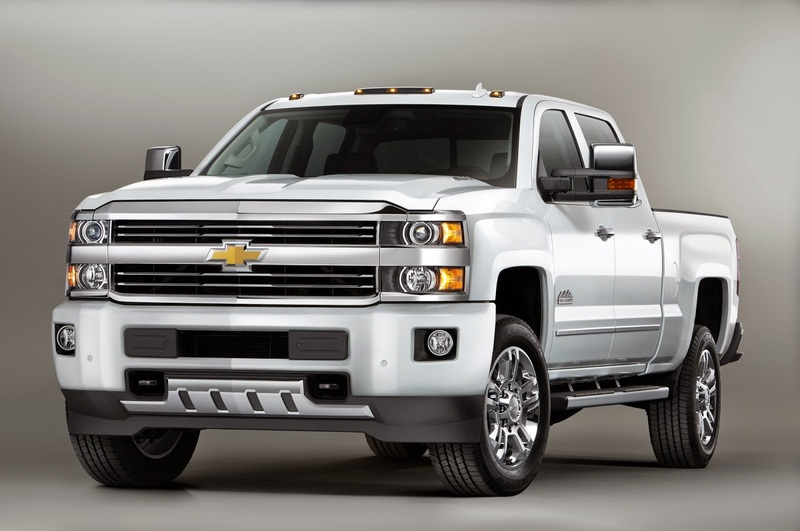 CHICAGO – Chevrolet’s expanded availability of bi-fuel versions of the new 2015 Silverado 2500HD and 3500HD trucks give customers and fleet managers more choices for cleaner-burning compressed natural gas-powered models – and savings at the pump. 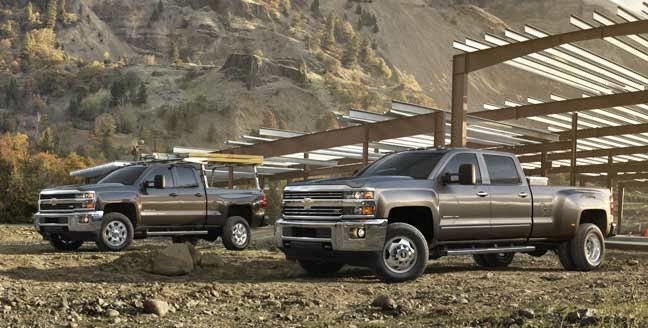 The new 2015 Chevrolet Silverado 2500HD and 3500HD are engineered to be stronger and smarter than before, delivering the capability heavy-duty truck customers demand, with greater refinement for more comfort and confidence on the job and on the road. Silverado 2500HD and 3500HD models come in Work Truck (WT), LT and LTZ trims, and are offered in regular cab, double cab and crew cab configurations. The regular cab comes only in WT and LT trims. The new double cab model replaces the previous extended cab and features forward-hinged rear doors, which allow easier access to the back seat, especially in tight parking spaces. All new cabs and interiors with increased comfort and extensive storage space tailored to the way customers use full-size trucks. Standard StabiliTrak with Trailer Sway Control on all models, including 3500HD duallys. 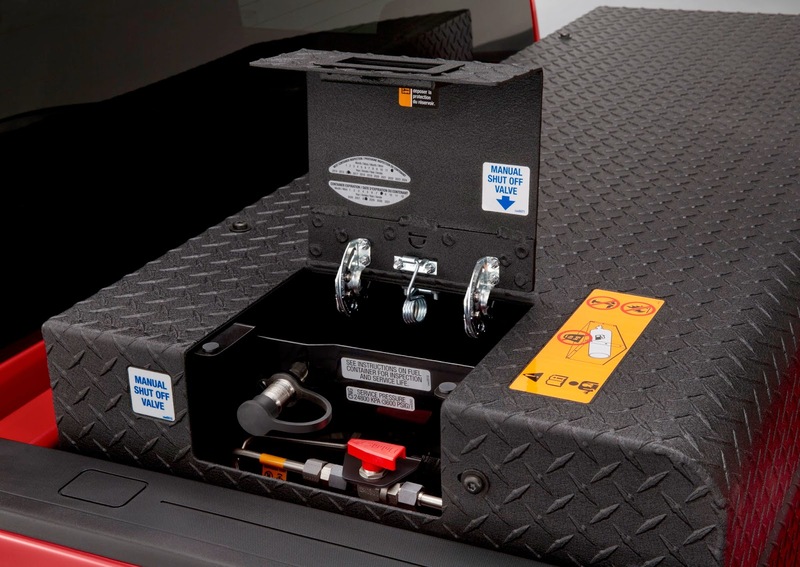 Models equipped with CNG system add cargo tie-downs on the tank cover and a single fuel gauge that displays fuel levels for gasoline and CNG. Safety features such as Forward Collision Alert, Lane Departure Warning with an Active Safety Seat, and Front and Rear Park Assist are available on the 2015 Silverado HD. Head-curtain and seat-mounted side airbags are standard on 2500 models and available on 3500 models. WARREN, Mich. – General Motors’ Warren Technical Center is implementing a bike share program – the first of its kind from any U.S. automaker – that will enable its 19,000 employees to commute more easily both on and off campus. GM is working with Zagster, a private bike sharing company that has developed similar programs for other businesses. Employees can use Zagster bikes stationed throughout the Tech Center to travel between its 61 buildings covering the 330-acre campus. 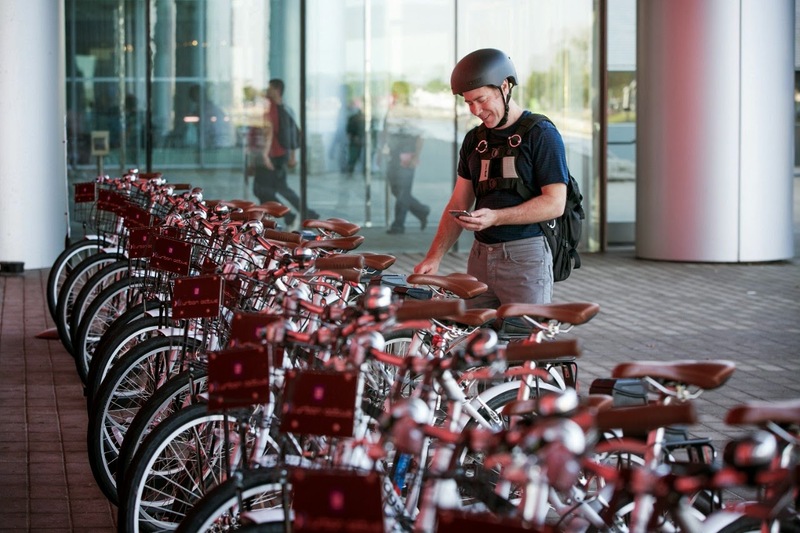 “GM is investing not only in the long-term health and productivity of its workforce, but sending a strong message to other employers around the country that bike sharing is a mainstream transportation option for employees,” said Timothy Ericson, co-founder and CEO of Zagster. Posting on GM’s internal website OverDrive, engineers and designers expressed enthusiasm for riding bikes at a car company, where walking, driving and timed shuttle buses are the typical ways employees get from one part of campus to another. To participate, an employee registers online, then reserves a bike through text message or a smart phone app that provides an access code to unlock the lock box mounted on the bike. Zagster’s geofencing technology installed at each bike station, is powered by solar energy panels – an energy feature comparable to the large public bike share systems, and unique to the GM/Zagster partnership. It is also the first private bikeshare system to employ this technology. Each bike comes equipped with a basket to safely transport a laptop, notebook and other small belongings. Riders must wear helmets and use bells to alert pedestrians when they are approaching. GM’s program expands Zagster’s existing service in Detroit – which has been used by more than 2,750 users in the last year. GM began a pilot program of the bike share for 50 Tech Center employees at the end of July. After the successful trial and mounting enthusiasm from employees, everyone on campus can now participate. Editor’s Note: Reporters are invited to interview GM Sustainability Director David Tulauskas and employees who piloted the bike-share program from 10 a.m. to noon on Tuesday, Aug. 26 at the front of the Vehicle Engineering Center, accessed via the Van Dyke Gate 11 entrance to the Warren Technical Center at 30001 Van Dyke Ave. Photo and video opportunities will be available. About General Motors Co.General Motors Co. (NYSE:GM, TSX: GMM) and its partners produce vehicles in 30 countries, and the company has leadership positions in the world's largest and fastest-growing automotive markets. GM’s brands include Chevrolet and Cadillac, as well as Baojun, Buick, GMC, Holden, Jiefang, Opel, Vauxhall and Wuling. More information on the company and its subsidiaries, including OnStar, a global leader in vehicle safety, security and information services, can be found at http://www.gm.com. About ZagsterFounded in Philadelphia in 2007 as CityRyde and now headquartered in Cambridge, Mass., Zagster is one of the nation’s first bike sharing companies. Zagster is uniquely focused on contracting with property managers, hotels, businesses, and universities across North America to make bike sharing programs available to tenants, employees, guests and students. This highly efficient and unique model allows Zagster to offer services in areas that traditional city-wide bike sharing systems can’t reach. More information about Zagster is available at Zagster.com. For use in 4-stroke gasoline fueled engines in marine applications. Offers unsurpassed wear protection, viscosity stability, low volatility and excellent rust protection. NMMA FC- approved and "warranty certified". For use in 4-stroke outboard and marine inboard engines. Also excellent for personal watercraft. 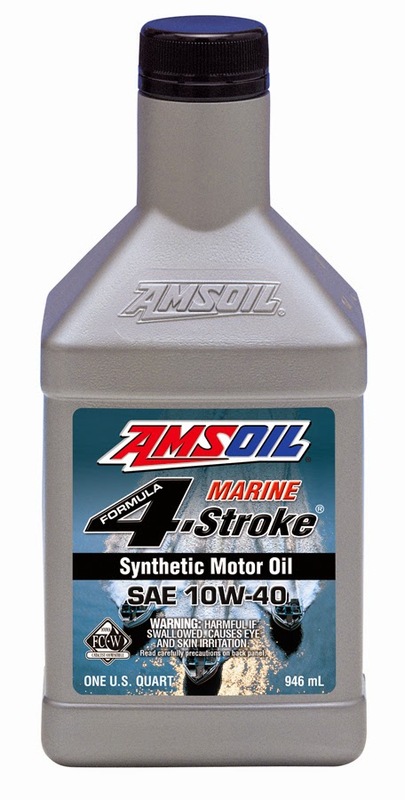 AMSOIL Formula 4-Stroke® Marine Synthetic Motor Oil is a premium-quality synthetic formulation engineered for the harsh operating conditions of marine environments. 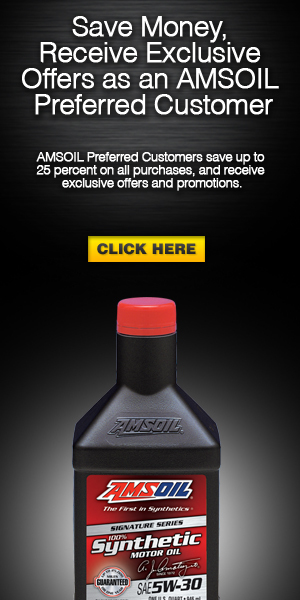 It withstands the intense mechanical action of continuous, high-rpm operation to deliver superior viscosity protection. Formula 4-Stroke Marine Synthetic Motor Oil is specially fortified with a heavy treatment of advanced additives that protect motors against wear, rust and deposits. It excels in high-horsepower applications and all-day trolling conditions. ORLANDO, Fla. – A revised version of Chevrolet Performance’s LSX™ Bowtie cylinder block is the foundation for new, boost-capable LSX376 crate engines designed to support up to 1,000 horsepower. The new LSX376-B15 crate engine features a durable, all-forged rotating assembly that supports engines making up to 15 pounds of boost – or up to about 1,000 horses. A more economical version – LSX376-B8 – is rated for eight pounds of boost and is designed for lower-output combinations. Machined bore at 3.880 is ready for final boring/honing. The LSX bare blocks and the new LSX376 crate engines are available from the new 2013 Chevrolet Performance catalog, which is available from Chevrolet Performance retailers or online at www.chevroletperformance.com. Built for boost is the best way to describe Chevrolet Performance’s new LSX376-B15 (part number 19299306) and LSX376-B8 (part number 19171049) crate engines. Each is engineered to provide a durable, ready-assembled foundation onto which the builder can finish with the forced-induction system of his or her choice. For the all-new LSX376-B15, Chevrolet Performance engineers started with the LSX Bowtie standard-deck block, added a forged steel crankshaft, forged H-beam rods and forged aluminum pistons (9.0:1 compression), then topped off the short-block assembly with high-flow, rectangular-port, six-bolt LSX-LS3 heads for supercharged and turbocharged combinations producing up to 15 pounds of boost and up to about 1,000 horsepower. 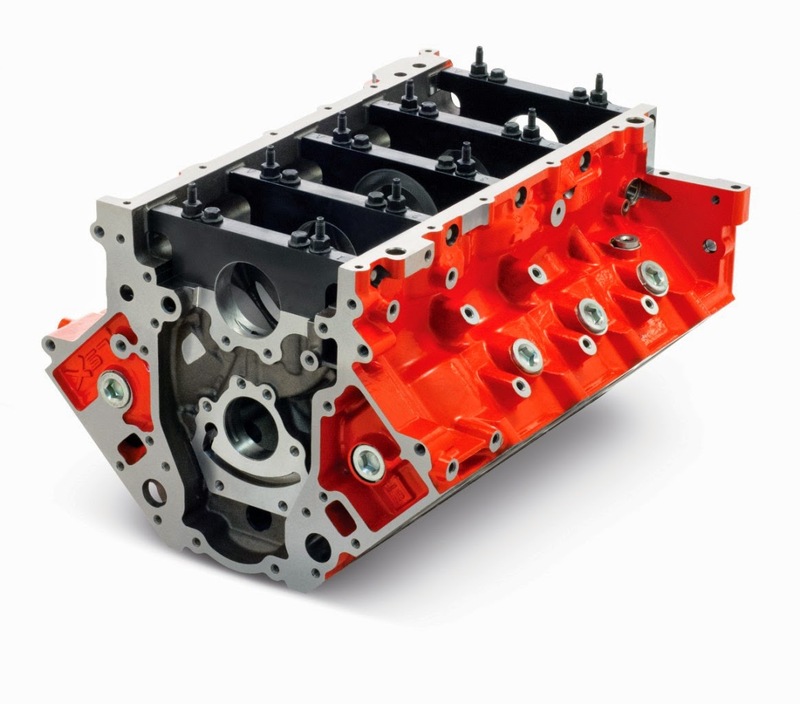 The LSX-LS3 aluminum cylinder heads feature 260cc L92-style rectangular intake ports and are fitted with 2.165-inch hollow-stem intake valves and 1.590-inch solid-stem exhaust valves. They provide excellent airflow capability that optimizes the power-building advantages of forced induction. Chevrolet Performance delivers the LSX376-B15 without an intake manifold and other accessories, allowing the builder to tailor the induction system and other features to suit the forced-induction setup of choice. The LSX376-B8 is a more economical version that is capable of approximately 8 pounds of boost, for engine producing approximately 600 horsepower. It is designed for production-style supercharger and turbo systems used without enhancements or modifications. Like the LSX376-B15, it features 9.0:1 compression and is delivered without an intake manifold and other accessories. 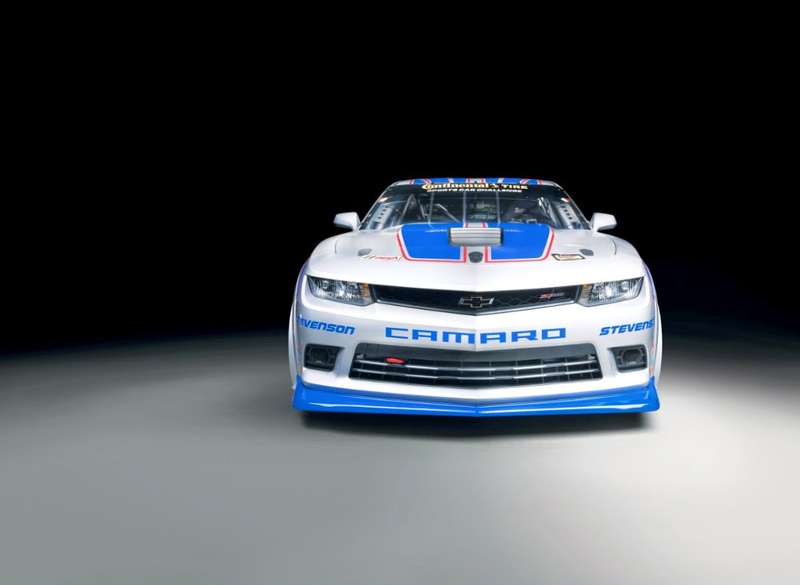 DAYTONA BEACH, Fla. – The Chevrolet Camaro Z/28 returns to its racing roots this week when the all-new Camaro Z/28.R race car debuts in a 2.5-hour endurance race ahead of the 52nd Rolex 24 At Daytona. It will be one of the most production-based competitors on the track, sharing aero, engine and even axle components with the new 2014 Camaro Z/28. 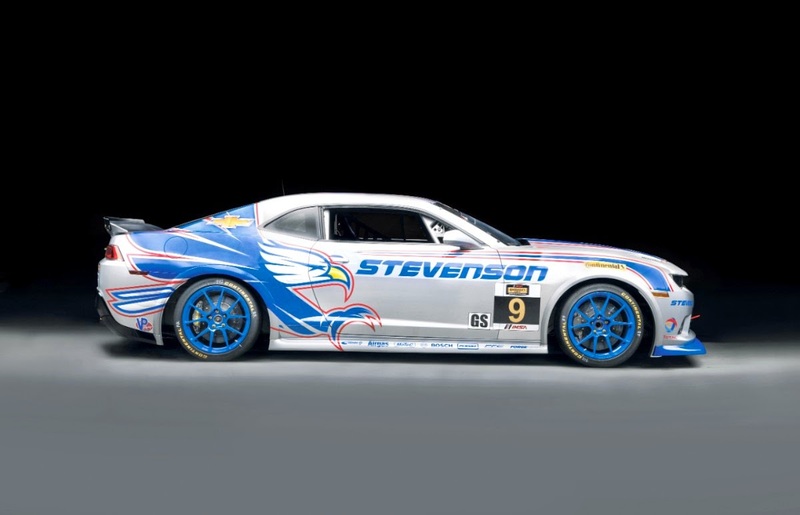 Stevenson Motorsports and CKS Autosport will campaign Z/28.R race cars in the GS class of the IMSA Continental Tires SportsCar Challenge. The Daytona race begins at 1:45 p.m. EST, on Friday, Jan. 24, kicking off the 12-race 2014 season. The Z/28.R is also powered by the same LS7 7.0L V-8 engine as the production Z/28 and employs the unique, helical-gear limited-slip rear differential found on the production model. 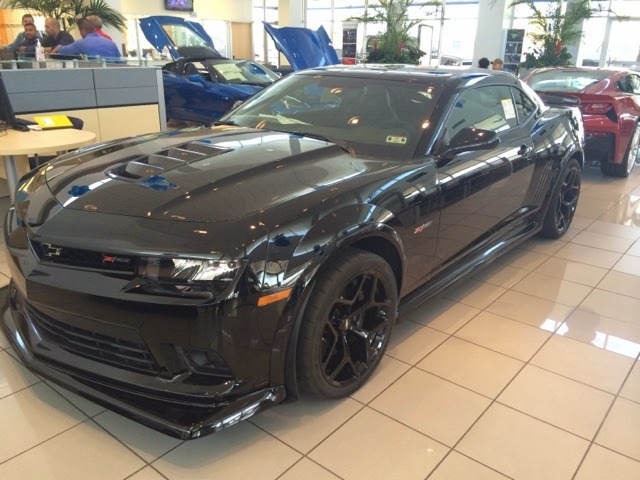 It is standard in the Z/28, helping the driver put down more power to the pavement when exiting corners. “Apart from series-mandated equipment and the specialized suspension components needed for endurance racing, the Z/28.R is as close to a production-spec race car as you’ll find,” said Kent. 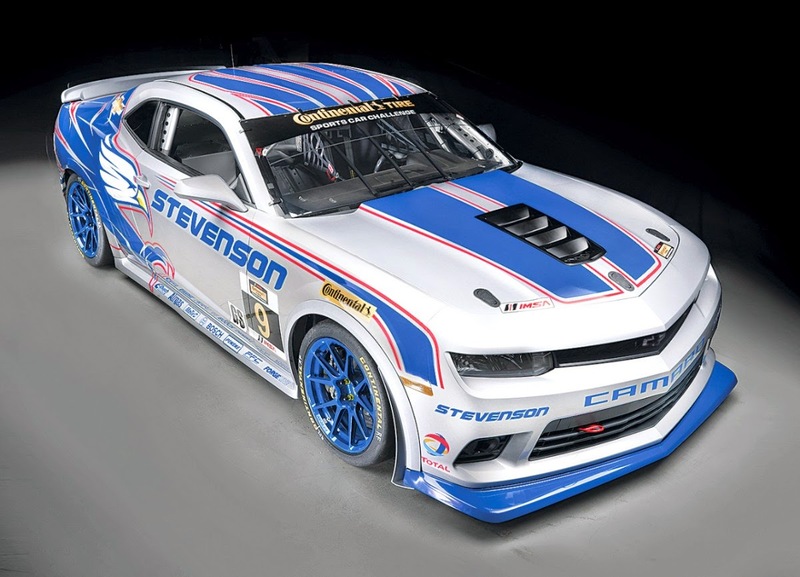 As Stevenson Motorsports and CKS Autosport kick off a full season of racing in the IMSA Continental Tire SportsCar Challenge with their new Camaro Z/28.R race cars, they’ll advance the legacy of Camaro endurance racing that dates to the original Z/28’s 1967 introduction, when it was developed for the Trans-Am series. More recently, the Camaro GS.R won six races from 2011 to 2013 in the Continental SportsCar Series Grand Sport class, helping Chevrolet achieve a runner-up finish in the GS championship last season. The 2014 Camaro Z/28 goes on sale this spring. DETROIT – The 2014 Chevrolet Volt with available Forward Collision Alert was the only vehicle out of 12 small cars tested to earn the Insurance Institute for Highway Safety’s 2014 Top Safety Pick + award. It also received an acceptable overall score in IIHS’ challenging small overlap front crash test. The results in the most recent round of testing put it ahead of its competitors, both in the electric and small car segments. The Volt earned a “good” rating – the highest the IIHS awards in its tests – in four of the six categories monitored during the small overlap front test. In the Structure category and the Restraints & Kinematics category, the Volt earned an “acceptable” rating. 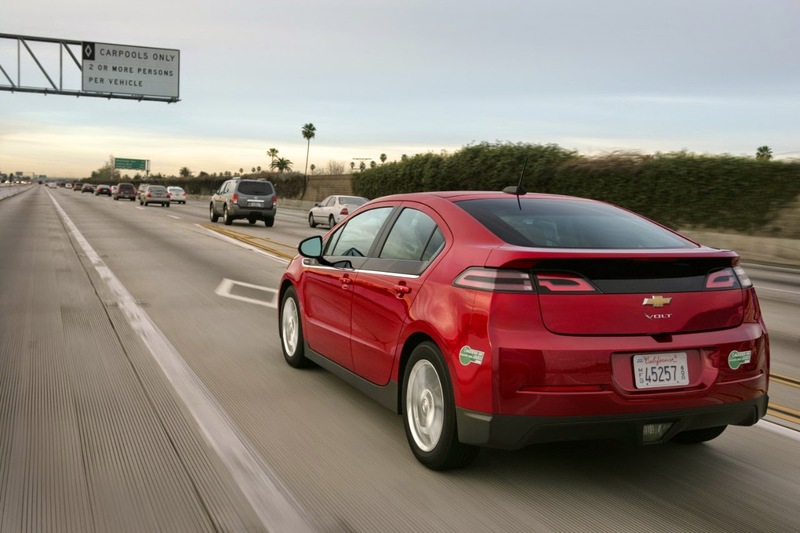 Altogether, the scores gave the Volt an overall acceptable rating in the test. According to IIHS, the small overlap front crash test is considered the most difficult of any of the head-on tests performed by either the National Highway Traffic Safety Administration or the IIHS. It was introduced in 2012, and replicates a collision with another object, such as a tree, on the very front corner of the vehicle at 40 mph. This means the vehicle’s front bumpers and crumple zones are avoided, making the rest of the car distribute crash energy. Founded in 1911 in Detroit, Chevrolet is now one of the world's largest car brands, doing business in more than 140 countries and selling more than 4.9 million cars and trucks a year. Chevrolet provides customers with fuel-efficient vehicles that feature spirited performance, expressive design, and high quality.